He said the PNP is now searching places where Acierto could be hiding. Acierto suddenly disappeared in October 2018 since being implicated in the smuggling of illegal drugs. “Sa ngayon lahat ng pwede niyang puntahan, pinupuntahan na natin [Right now, we are searching places where he might go]. He said the PNP believes Acierto is still in the country. The personalities are facing a case filed by the Department of Justice for the importation of illegal drugs under Republic Act 9165 or the Comprehensive Dangerous Drugs Act of 2002. MANILA, Philippines—President Rodrigo Duterte has designated Executive Secretary Salvador Medialdea as the government’s officer-in-charge (OIC) during his fourth visit to China. Duterte is currently in China to attend the Second Belt and Road Forum for International Cooperation in Beijing and hold a scheduled bilateral meetings with Chinese President Xi Jinping from April 24 to 28. ADVERTISEMENTREAD: Duterte seeks more ‘Build, Build, Build’ deals in 4th China trip — PalaceUnder Special Order 420, which was released to the media on Thursday, Duterte tasked Medialdea to “ensure the continuity of government service” and to “take care of day-to-day operations” as OIC of the executive department while the Chief Executive is in China. President Duterte designates Executive Secretary Salvador Medialdea as the government's OIC while he is in China. @inquirerdotnet pic.twitter.com/nHaZU5d5CA — Darryl John Esguerra (@DJEsguerraINQ) April 25, 2019“All acts of the Executive Secretary for and on behalf of the President pursuant to this Order shall be deemed acts of the President unless disapproved or reprobated by the President,” the order said. Privacy fine set-aside dents Facebook’s profit 0 SHARES Share it! The leading social network logged a profit of $2.4 billion — down 51 percent from a year earlier — on revenue that climbed 26 percent to $15.1 billion in the first three months of this year. Profits would have topped Wall Street forecasts if not for the money put aside for the expected FTC fine. She advised advertisers to view the FTC fine revelation as a significant development that could bring about changes affecting the way they can use the social network for marketing. Zuckerberg renewed his call for consistent, global regulation regarding data privacy, acceptable content, free speech, and election meddling rather than leaving such decisions to private companies. France’s Macron to unveil long-awaited reform plan 0 SHARES Share it! Share TweetBy Agence France-PresseFrench President Emmanuel Macron will unveil his long-awaited response to nearly six months of humiliating street protests Thursday as he lays out reform plans that could prove decisive for his political future. Macron swept to power in 2017 on hopes he would be a youthful breath of fresh air for France. Rather than changing the reforms which were leaked earlier this week, the idea is that Macron will “explain them”. And a day later, someone leaked the entire text of his reform plan speech to the media. Iran denounces US talks with Taliban 0 SHARES Share it! Share TweetBy Agence France-PresseIran on Wednesday criticized US talks with the Taliban on ending the Afghanistan war, saying Washington was elevating the role of the militants. The Taliban only represent a segment of Afghan society, not all of it,” he said. Iran, led by Shiite clerics, nearly went to war with the Taliban in 1998 after an attack on its consulate in the Afghan city of Mazar-i-Sharif killed nine Iranian diplomats and a journalist. But Iran has more recently sought to build relations with the Taliban, mindful of preserving interests in the neighboring country. Japan’s sterilized ‘eugenics’ victims to get payout 0 SHARES Share it! Share TweetBy Agence France-PresseThousands of Japanese people — some as young as nine — forcibly sterilized under now-defunct eugenics laws, will receive government compensation after lawmakers passed historic legislation on Wednesday. Lawyers and campaigners have long criticized the government and parliament for failing to compensate victims long after the eugenics law was abandoned in 1996. Tokyo has pledged to pay the compensation “swiftly” but the government will likely continue to battle in court against victims claiming more. Germany and Sweden had similar eugenics laws and governments there have also apologized and paid compensation to the victims. No volcanic unrest detected in Pinatubo – Phivolcs 0 SHARES Share it! Pinatubo which may indicate sign of volcanic unrest following the occurrence of a 6.1-magnitude earthquake in Luzon last Monday. Based on the Pinatubo Volcano Seismic Monitoring Network, Phivolcs has not detected changes in the condition of the volcano that may indicate impending volcanic unrest. Pinatubo did not observe unusual smoke emission coming from the volcano before, during, and after the earthquake,” Phivolcs said. Pinatubo, the 6.1-magnitude earthquake was determined to be tectonic in origin, Phivolcs reiterated. Hunger eases slightly for most Filipinos – SWS 0 SHARES Share it! The 9.5 percent quarterly hunger in March 2019 is the sum of 8.1 percent (estimated 2 million families) who experienced moderate hunger and 1.3 percent (estimated 327,000 families) who experienced severe hunger. Moderate hunger refers to those who experienced hunger “only once” or “a few times” in the last three months, while severe hunger refers to those who experienced it “often” or “always” in the last three months. Moderate hunger decreased slightly from 8.9 percent in December to 8.1 percent in March, while severe hunger decreased from 1.5 percent to 1.3 percent. Moderate hunger in Visayas also rose from 8.3 percent in December to 9.2 percent in March, while severe hunger stayed at 0.8 percent. ’18 dead’ in huge blast in northwest Syria 0 SHARES Share it! Share TweetBy Agence France-PresseA powerful explosion Wednesday killed 18 people including more than a dozen civilians in jihadist-held northwest Syria, a war monitor said, as rescuers searched for people trapped under the rubble. Abu Ammar, a father of two, told AFP he felt the “huge” blast from his home about 50 meters (yards) away. The Idlib region is under the administrative control of Hayat Tahrir al-Sham (HTS), which is dominated by a faction previously known as Al-Nusra Front before renouncing its ties to Al-Qaeda. The Islamic State jihadist group has sleeper cells in the wider Idlib region. Thousands gather for Anzac Day in Australia, New Zealand amid heightened security 0 SHARES Share it! Share TweetBy ReutersWELLINGTON/SYDNEY (Reuters) – Tens of thousands gathered in Australia and New Zealand at Anzac Day memorials on Thursday amid heightened security following the shooting massacre at Christchurch mosques and deadly suicide bombings of churches and hotels in Sri Lanka. Anzac Day commemorates the bloody battle on the Gallipoli peninsula in Turkey during World War One. Addressing thousands gathered for a dawn service at the Auckland War Memorial Museum, New Zealand Prime Minister Jacinda Ardern said that, in the wake of the Christchurch massacre, Anzac Day 2019 should be an even greater uniting force. Heightened security saw about 1,000 police deployed across New Zealand at hundreds of locations and security concerns meant Anzac Day events in Auckland, New Zealand’s largest city, and elsewhere were scaled back. La Salle, on the other hand, also disposed of the University of the East in three sets (25-17, 25-16, 25-19). Both games saw La Salle coach Ramil De Jesus and Ateneo coach Oliver Almadro make use of their bench. Since their loss to UP to open the second round, La Salle has been on a roll, winning five consecutive matches. 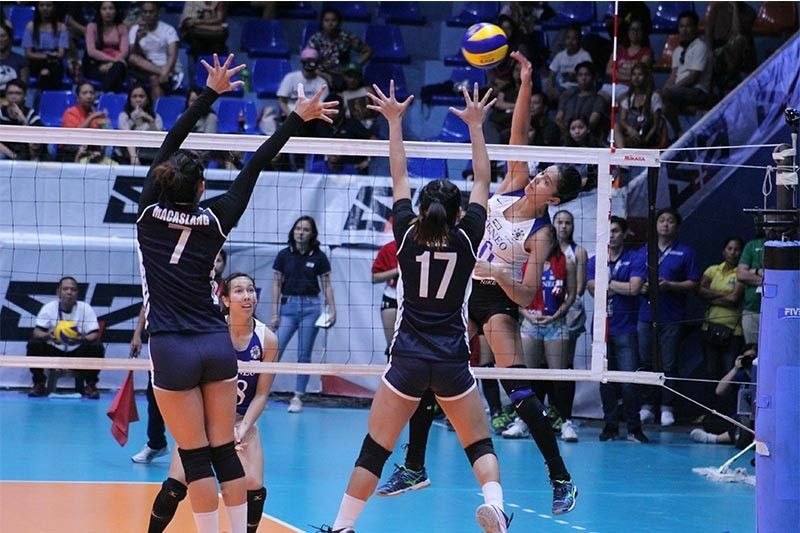 Ateneo, on the other hand, well, there are two ways to look at the three set win over Adamson. But the near meltdown in the second set shows they aren’t as well-oiled as fans of their like them to be. WASHINGTON – Former world middleweight champion Gennady Golovkin and longtime trainer Abel Sanchez parted company on Wednesday (Thursday Manila time) in an acrimonious split apparently triggered by a dispute over money. Therefore, I will not be training with Abel Sanchez." The decision means Golovkin will have a new trainer in his corner when he returns to the ring in June. 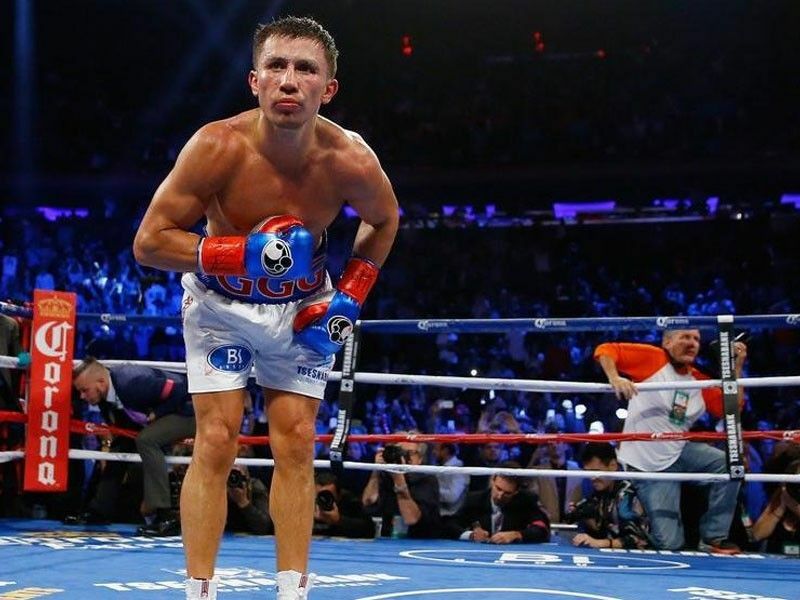 Golovkin owned the World Boxing Association, World Boxing Council and International Boxing Federation world titles until last September, when he lost a 12-round majority decision to Mexico's Canelo Alvarez in Las Vegas. He is a great trainer, a loyal trainer, and a Hall of Fame trainer," Golovkin said. ‘Water is life’: unexpected rainfall revives Iraq’s historic marshlands 0 SHARES Share it! Share TweetBy ReutersCHIBAYISH MARSHES, Iraq (Reuters) – This time last year, most of Iraq’s historic marshlands were dry, desiccated by upstream damming and a chronic lack of rainfall. Though many were eager to return home after two decades away, life in the marshes is tough and revolves around fishing and raising water buffalo. The few schools and government-run health clinics are miles away from the open water, where many people live without electricity. “Water is life here.